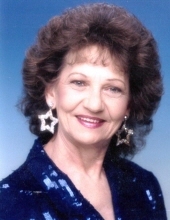 Mary Lou Soutee, age 82, of Marionville, Missouri, passed away at 5:25 a.m. on Sunday, November 18, 2018, at the Aurora Nursing Center. She was born May 4, 1936, in Clever, Missouri, the daughter of Stephen Langford and Louise May (Jefferson) Rapp. Mary was a homemaker and a member of the First Baptist Church in Marionville. Mary is survived by her son, Sheldon Soutee and his wife, Bea, of Marionville; two daughters, Sharen Suneson and Connie Phillips and her husband, Jim, all of Aurora; three brothers, Jack Rapp and his wife, Doris, of Marionville, Billy Rapp of Richland, Missouri, Joe Rapp of Everton, Missouri; two sisters, Mae Sullivan of Clever, Missouri and Janice Griener of Marionville; four grandchildren; 14 great-grandchildren; two great-great grandchildren and several nieces and nephews. Her parents, Stephen and Louise, nine brothers and sisters and the father of her children, Donald Leroy Soutee preceded her in death. A funeral service will be held at 2:00 p.m. on Wednesday, November 21, 2018, at the Williams Funeral Home in Marionville with burial to follow at the Marionville IOOF Cemetery. Memorial donations may be made payable to the American Cancer Society, in care of the funeral home, P. O. Box 103, Marionville, MO. 65705. To send flowers or a remembrance gift to the family of Mary Lou Soutee, please visit our Tribute Store. "Email Address" would like to share the life celebration of Mary Lou Soutee. Click on the "link" to go to share a favorite memory or leave a condolence message for the family.